Utilizing an existing framework of nearly 500 supporters and advocates including our Six-to-Fix partners, Glenn Dale Citizens’ Association, the Lincoln-Vista Civic Association, Glenwood Park Civic Association, Preservation Maryland assisted community organizations and activists in identifying and engaging key players in State and County government as well as experts in preservation architecture, engineering and design to remove the barriers to use and a feasibility study for re-use and rehab was completed. An RFP was issued for the adaptive reuse of Glen Dale Hospital. Mccarran Hall, nurse’s dorm, S elev Glenn Dale Hospital, State Historic Sites Inventory Form, 1986. 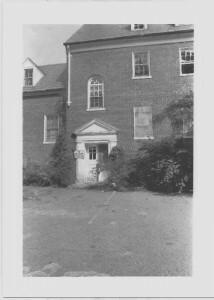 Capper Hall, W entrance, Glenn Dale Hospital, State Historic Sites Inventory Form, 1986. 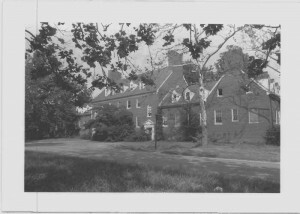 Capper Hall, nurse’s dorm, west elevation, Glenn Dale Hospital, State Historic Sites Inventory Form, 1989. Children’s hospital, north, Glenn Dale Hospital, State Historic Sites Inventory Form, 1986. 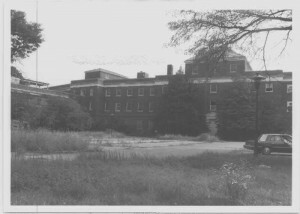 In central Prince George’s County, surrounded by suburban development sits the 200+ acre Glenn Dale Tuberculosis Hospital and Sanatorium. The campus features 23 brick Georgian Revival buildings many of which were built between 1933 and 1959. 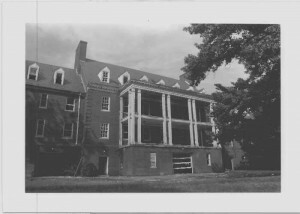 The Glenn Dale Tuberculosis Hospital and Sanatorium which was owned and operated by the District of Columbia was constructed specifically to house and treat children and adults suffering from tuberculosis. The campus demonstrates the lengths governments went to combat the public health threat caused by tuberculosis during the late nineteenth and early twentieth centuries. Glenn Dale’s location just 15 miles outside the District of Columbia provided the remote setting and abundant fresh air that were considered ideal in the treatment of the disease. Today the property is owned by Maryland-National Capital Park and Planning Commission. The campus included interrelated medical, residential and mechanical buildings along with landscaped areas for patients to enjoy. A majority of the buildings on the property remain intact with a high level of historical integrity. The classical detailing of the buildings together with the interconnected series of pedestrian and vehicular circulation paths contribute to its historical and architectural significance as a distinguishable, unified, representative example of a 20th-century therapeutic campus. 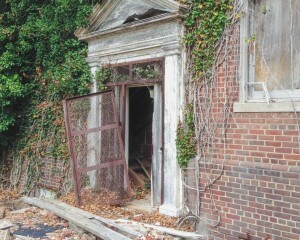 The site remained an active hospital through 1982 when the doors were shuttered. The buildings were not properly mothballed or stabilized once they started to deteriorate. Despite the exceedingly substantial commercial quality of the original construction, its neglect has resulted in the loss of the integrity of many of the roofs. Because they were so strongly built, these formerly stunning Georgian Revival structures are not yet beyond saving. However, if steps are not taken in the very near future to secure the buildings and provide for their safe maintenance, the Glenn Dale Citizens’ Association fears that these buildings and their environmental setting will be lost altogether. Local community groups have championed the adaptive reuse of the campus and buildings for over two decades. 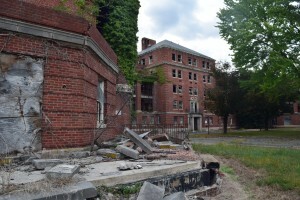 Associations which represent individuals and the families of individuals who worked at Glenn Dale Hospital want to see the buildings and 60 acres of the property used as a continuing care and retirement community. The other 140+ acres would benefit the community if they were maintained as permanent open space for active and passive parkland uses. Immediate stabilization of the buildings will ensure that no more damage occurs and that this campus can once again meet the needs of the community. Alexander Company presented their feasibility study results at a community meeting in April 2018 attended by Preservation Maryland. Through their extensive market research and project estimating, it was determined that rehabilitating the historic Glenn Dale campus into a licensed CCRC facility was not financially feasible, but similar uses might be feasible. 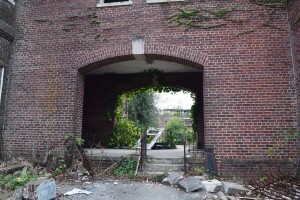 Thanks to Preservation Maryland’s involvement, active efforts to breathe new life in to the long vacant Glenn Dale Hospital have taken a major step forward with the selection of a qualified team to complete a redevelopment feasibility study; The Alexander Company. Previously, the Alexander Company has worked in Maryland on the redevelopment of the National Park Seminary in Silver Spring.